The 43rd annual History Workshop runs Tuesday, Feb. 19th throuh May 7th at 12:30 in 203 Munroe Hall. The Colored Conventions Project, founded and hosted at UD, organized a celebration of the life and legacy of Frederick Douglass to mark the famed activist's 201st birthday. Sponsored by the University of Delaware Islamic Studies Program. Free and open to the public. The History Workshop meets in 203 Munroe Hall at 12:15 pm on Tuesdays. Presentations begin at 12:30 pm and are followed by discussion ending at 1:30 pm. Bring a lunch. All are welcome! For further information, please call (302) 831-2371. ​My academic training at the University of Delaware was exceptional. I had the pleasure of obtaining my bachelor's, master's, and doctorate degrees from this university. The talented faculty and invaluable resources provided by the University and its departments of History and Africana Studies equipped me with the intellectual tools to achieve my career goal of becoming a history professor at a research university. ​My history education degree from the University of Delaware provided me with strong content background and the ability to create lessons to meet state and national standards. My connection to UD’s history education program did not end after graduation. The program’s continued help and support has been an integral part of my success in the classroom and beyond. ​My education at the University of Delaware paved my way to a career in public history. I was trained to scrutinize all matter of historical evidence from manuscripts and advertisements to photographs and objects. I also learned how to integrate my research into contemporary academic conversations in new ways. Through opportunities like the Delaware Public Humanities Institute and hands-on work museum experience I developed a toolkit that has prepared me to share my love of history with diverse audiences. 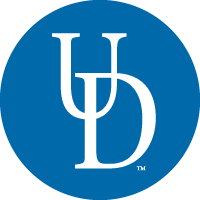 ​The UD History Department did an excellent job training me in research and writing skills so that I have been able to succeed and thrive in my post-graduate legal field and community. ​My time in the the Social Studies Education program challenged my perception of instruction and gave me an open and friendly environment to discover the teacher I wanted to become. Dr. Joyce and Dr. Kim always had their doors open for help and encouragement. Their continued communication and support of me even today is a reflection of their passion for education and the achievement of their students. I feel very fortunate to have been a part of their tremendous program. ​Scholarly training, mentorship, and friendship at the University of Delaware opened the door to a new career path. An academic program with an emphasis on business history and the history of technology, weekly lunch-time workshops, and lectures at the university and other institutions such as the Hagley Museum and Library were invaluable opportunities for me to broaden my intellectual boundaries and look at my research project from multiple angles. In such a stimulating environment, generous support and encouragement from faculty and other graduate students helped me complete graduate study and prepare for the next step as a scholar. My forthcoming book "Visualizing Taste: Business, Color, and the Creation of American Food" will be published in 2019 or early 2020 by Harvard University Press. ​The Social Studies Education Program's innovative approach to teaching instruction fostered my ability to create and teach high quality lesson plans. Everyone says that your first year is the hardest, but mine felt like a breeze, and I credit it to the rigor and high expectations set by the Social Studies Education program. ​Completing the social studies education program was the best decision I made in college for my career and my proudest accomplishment at UD. The experience was challenging, rigorous, and inspiring. Thanks to the professors and the program they designed, I entered my classroom prepared and excited to teach my students! ​Delaware’s generous funding allowed me to concentrate on my coursework and early research until I reached a point where I could successfully compete for the national-level fellowships that helped me finish my dissertation. And the program’s small size fostered a camaraderie both in and outside the classroom that forged professional connections and lifelong friendships I continue to value two decades after I showed up for my first day of graduate school. The History Education program at UD equipped me with a tool chest full of innovative teaching strategies and detailed content knowledge. I loved the way that Dr. Joyce and Dr. Kim modelled enthusiasm, creativity, and rigor for us in the History Ed program. I continue to use their example as the basis for my teaching practices as I enter my 5th year of teaching.